Spanning centuries and the entire globe, Bagieu has highlighted 29 rebel women in this charming graphic novel that will rock your world. This diverse group has a common thread that connects them: they all followed their hearts rather than societal expectations. Recommended for the curious, young at heart, rebels and rebels in the making! Pénélope Bagieu was born in Paris in 1982, to Corsican and Basque parents. She is a bestselling graphic novel author and her editorial illustrations have appeared all over the French media. She blogs, drums in a rock band, and watches lots of nature shows. Her books with First Second include Exquisite Corpse and California Dreamin'. 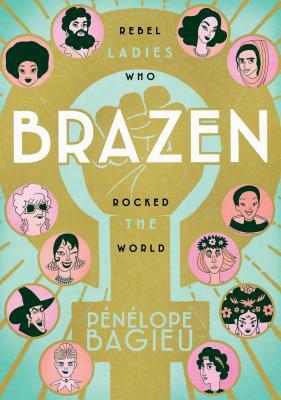 "We swooned over California Dreamin’, French cartoonist Pénélope Bagieu’s biography of the Mamas & the Papas singer Cass Elliot, and now Bagieu is back with a look at a wider array of influential women throughout history... Inventive, impressive cartooning." —Paste Magazine, from their "40 Most Anticipated Comics of 2018"